Ready for an eco-friendly super green board? You should be! Look at the facts: Bamboo is the worlds fast growing plant. It takes only five years for a stalk to mature compared to hundred year for maple, the golden standard for the manufacturing of skateboards because of it’s strength under the pressure of the rider. Bamboo is 17% harder than maple, making it excellent material for boards. It’s an great converter of CO2, converting more than eight times that of trees. That’s why SuperGreen Boards takes a lot of pride in making high quality, durable boards, made from eco-friendly materials. 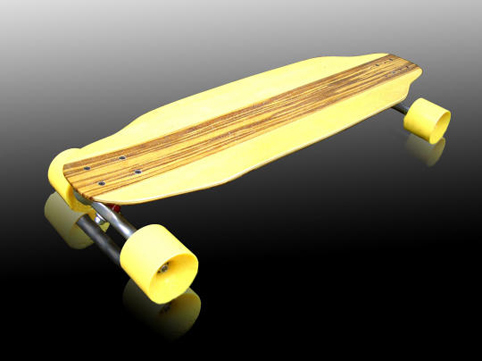 It takes about 2 weeks to make a board custom made to your specifications.